Delegates from Ethiopian federal government and the Ogaden National Liberation Front ONLF met on 21 October 2018 in Asmara, Eritrea. 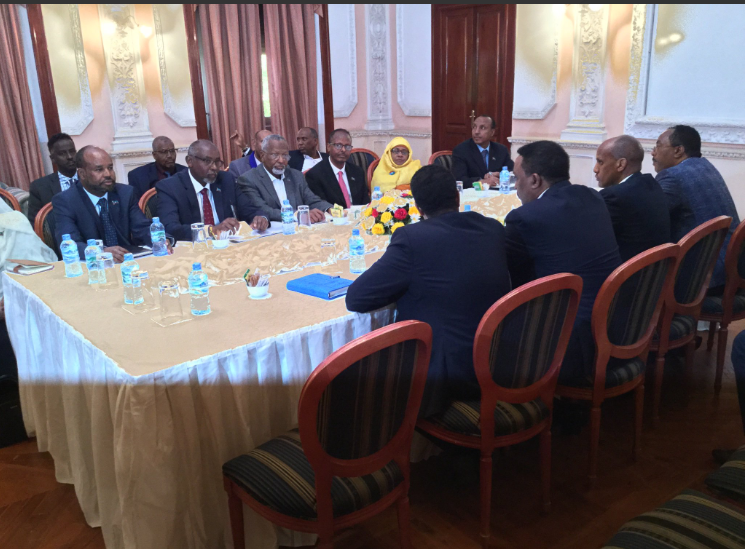 The delegation from the Ethiopian government was led by Workneh Gebeyehu and the ONLF delegation was led by the Admiral Mohamed Omar Osman. 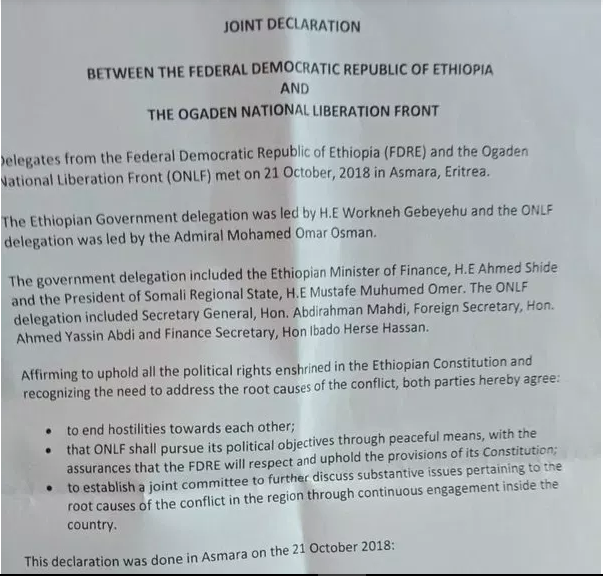 ADDIS ABABA, Oct 21 (Reuters) - Ethiopia signed a peace deal on Sunday with Ogaden National Liberation Front (ONLF) rebels from its Somali Region, whom it had previously outlawed as a “terrorist group,” officials said.